Add flair and elegance to to those bland courier fonts with ParmaTypewriter. 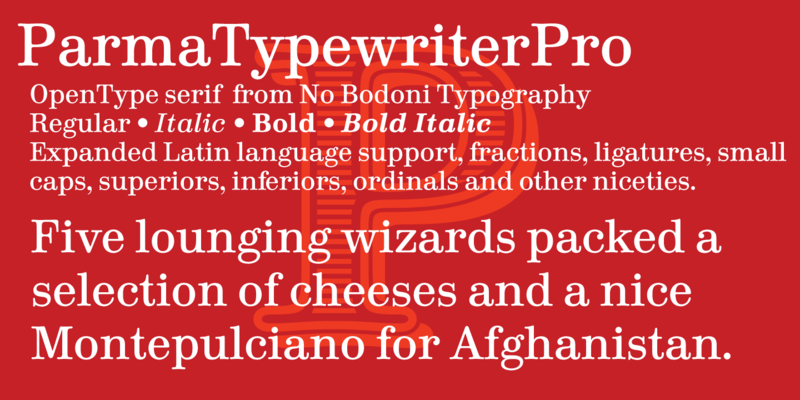 No Bodoni's latest typeface is Opentype Pro with broad Latin support. Available at MyFonts.com. Need an aggressive font with big assertive serifs? 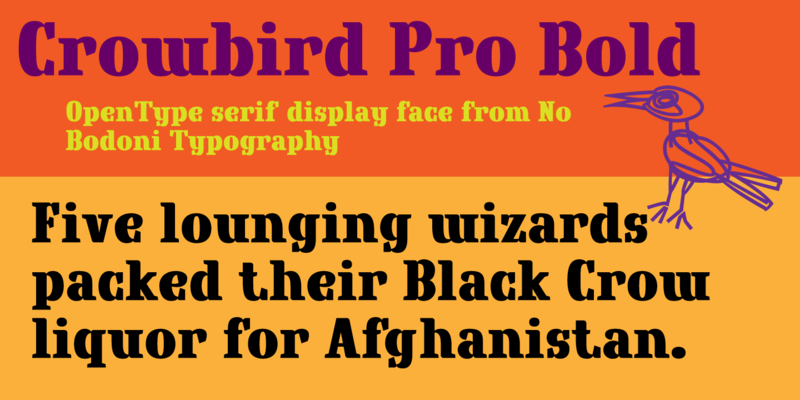 Crowbird is that font, complete with a spectrum of Latin characters for various languages. Check it out at MyFonts.com. 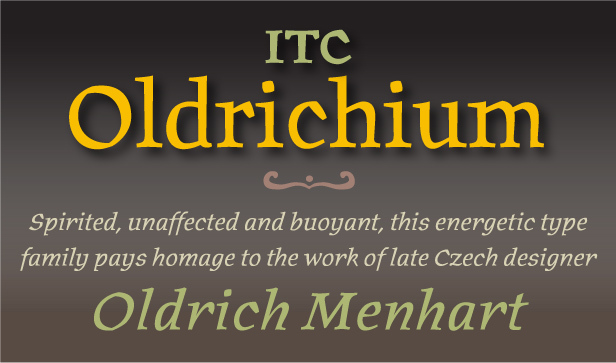 ITC has just released a Pro Opentype version of No Bodoni's Oldrichium typeface with support for mulitple Latin languages. 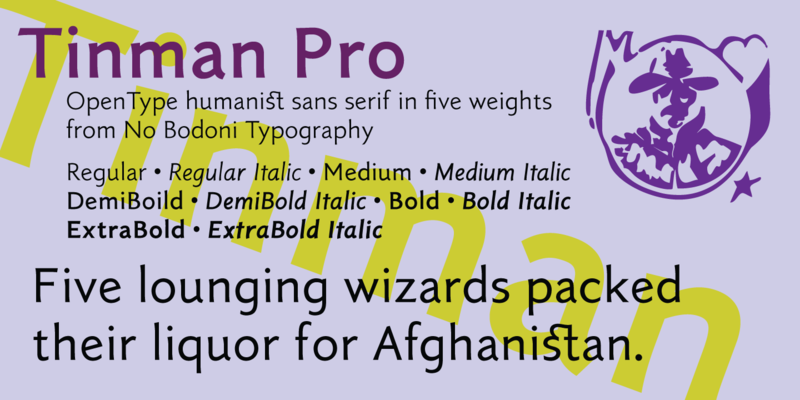 The No Bodoni catalog is being upgraded to OpenType Pro fonts with multiple Latin support. Most should be available as OT fonts by the end of the year. Cyrillic and Greek characters for all fonts are currently in development as well and will be released at a later date. If you have already purchased No Bodoni fonts through MyFonts.com you will be able to get a free upgrade to the OT Pro versions. Sorry, but we can't offer that for ITC Oldrichium since we don't technically own it anymore. No Bodoni Typography, the Spurius Press and Thompson Design are trademarks and projects of George Everet Thompson.